Traditional – Carignan, Cincault, Grenache. New – Chardonnay, Cabernet Sauvignon, Merlot, Sangiovese, Syrah. Planting: Traditional – bush. 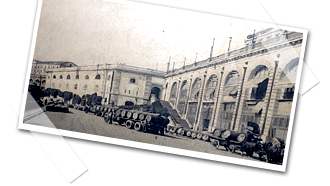 Modern – Guyot. 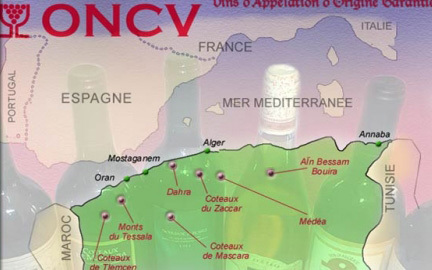 Formed in 1968 after independence from France, the story of the state-owned ONCV (Office National de Commercialisation des Produits Viti-vinicoles) is that of the Algerian wine industry as a whole: one of diminishing fortunes now just again on the rise. 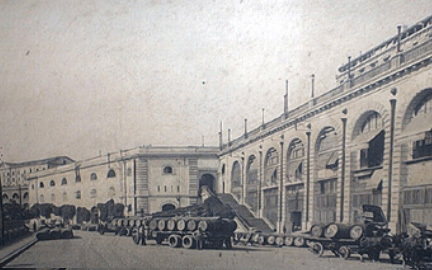 The company is the only exporter of wine and accounts for over 80 per cent of the country’s vineyard area, comprising owned land and contracts with growers (who, in turn, lease from the state). This has enabled the company to play a large part in governing vineyard practices with contractors. 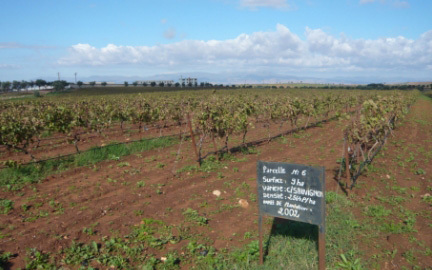 The company is also in the unique position worldwide of having access to so many formerly-identified high quality plots (many with old vines) but at present the grapes from these are blended with fruit from lesser sites to form standard labels. This may change in the future however, as the company has adopted a more forward thinking approach since the nineties in order to increase export markets. A far-reaching modernisation programme, including the planting of international varieties and the installation of modern equipment within its wineries, is under way, and organic status has been granted at a number of sites. There is also talk of producing small batch wines, which will only help highlight the vast potential, which is, as yet, barely tapped. This could be the Penfolds of North Africa, when, and if, commercial conditions allow. Good cherry colour. Bright. Warm fruits, pleasant berry style. Medium intensity. Medium weight. Good fruit, nice fruity Syrah character. Dark red, some purple. Medium nose. Clean fruits, some red berry and black cherry. Medium weight. Fruity and warm palate. Spiced cherry fruits. Good colour, a little developed. Clean berry nose. Warm, a touch mulled. Fine tannins. Meaty qualities over cherry and blackberry fruits. Clean and well made, but a little hot. Rosy red, orange hints. Light. Cherry nose. Warm palate. Pastille fruits, red berry, hints of sweet spice. Some herb. Jammy style. Medium red. Tight nose. Clean berry, light spice. Rich palate. Good tannins. Nice feel, fresh and warm. Quite perfumed. Good deep colour, some development. Closed nose. Black cherry nuances. Fair tannin integration. Persistent & warm but not too much so. Lighter than the other Mascara. Warm cherry notes. Soft tannins. Herbs and hints of berry. Fair. Dark red to purple. Black fruits, cherry and plum, a hint of herb and a bit of funk. Big and chunky palate but a little too alcoholic. Extracted. Big, but the aromatics don’t quite justify the structure. Greenish hints, early sugar harvest. Still, better than the Oran bottle. Domaine de Saint Augustin Cuvée Monica. Orange red, tawny. Warm nose with plenty of interesting aromatics: damson jelly, pastilles and cedar, hints of tar. Showing its age. Palate viscous and jammy, but fruits now receding to expose alcohol and tertiary aromatics of earth and dusty wood. Hinting at former glory.